There is an interesting phenomenon which the late Herman Kahn described, where “those with engineering or sociology training [are unable to] understand certain issues which they would have been able to understand if they had not had this training.” Kahn called it “educated incapacity,” but the idea was originally taken from economist Thorstein Veblen, who dubbed it “trained incapacity.” Whatever you want to call it, our world is full of it. 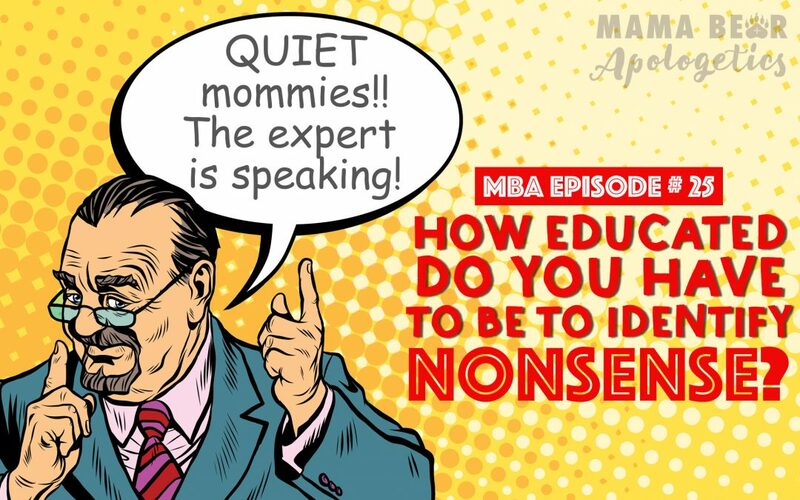 While I am thankful that we have such amazing access to education, there is a downside; our world is becoming obsessed with credentials, to the point that they are hesitant to call out nonsense if it is spoken by someone more educated than they. Only a person with a PhD in Fashion Design may claim that the emperor has no clothes. Everyone else must bow to the consensus, or be silent. There are certain things in life that we do not need a PhD to understand. The basic laws of logic are an example. Furthermore, experts do not always agree on everything! Two people can cite two equally credentialed experts, and come to two wildly different conclusions. And experts have a funny habit of speaking outside of their expertise, and expecting the same level of deference. As J. Warner Wallace points out in Cold Case Christianity, juries are not composed of experts. They are comprised of average people, peers to the defendant. Our judicial system recognizes that we as humans are endowed with the innate mental capacity to listen to expert opinions, and come to correct conclusions. The conclusion of the jury can be a matter of life and death! And yet a group of everyday citizens is entrusted with the sacred duty of determining the truth of a situation. The Mama Bears recently engaged a twitter troll who questioned our ability to understand science. He likely took one look at the word “Mama,” rolled his eyes, and then arrogantly made assumptions. To his attitude, we have to ask, “Exactly how educated must a person be to identify nonsense?” We think a command of the English language and a healthy dose of common sense and critical thinking skills should suffice in many situations. John Lennox – brilliant Oxford Mathematician who is also a Christian, and also gifted with an extra helping of common sense. He displays exceptionally low levels of educated incapacity when it comes to philosophy. Stephen Hawking – (also brilliant) theoretical physicist who is known for saying that “Philosophy is dead.” With dead philosophy, he comes to the scientific and mathematic conclusion that something can come from nothing, but then defines nothing as gravity. William Lane Craig (Link to his Reasonable Faith Website) – Biola professor, and feared among most atheist debaters. He is considered one of the most influential living philosophers in the world. Clay Jones book: “Why Does God Allow Evil?” – Probably the most compelling theodicy I’ve ever encountered for why God has allowed evil in the world. Relativism: Feet Firmly Planted in Mid-Air by Beckwith and Koukl – Wonderful book describing the common-sense nature of truth. 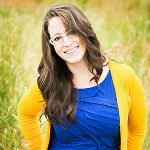 Playground Apologetics – Awesome Mama Bear blog series by Hillary Short, with tips on how to engage in apologetics conversations with other moms. Undesigned Coincidences by Lydia McGrew – Book by Lydia McGrew which argues for evidence of the reliability of New Testament documents via corroborative details included in the various gospels that were unlikely planned. Tim and Lydia McGrew – Awesome apologists in general! That you have to be an expert to have an intelligent statement about something. Philosophy is dead / unimportant. Distinguish subjective from objective truth. Don’t let people intimidate you! Cogito ergo sum – Latin for “I think, therefore I am.” Originates from Descartes’ “tabula rasa,” or blank slate, thought experiment in which he threw out everything he believed he knew in an effort to identify the truths of which he could be absolutely certain. Necessary – As in “necessary being.” Philosophical term meaning it must exist; it is uncaused and impossible for it not to exist. Affinity – The pull involved in gravity. Quantum vacuum – What many naturalist, atheistic physicists believe the universe was created in. The problem for the theist is that it’s something, not nothing, and therefore requires explanation of existence as well. Theodicy – One’s set of explanations for why God allows physical and moral evil. Ad Hominem fallacy – A logical fallacy (or breaking of formal logical rules) in which there is a critique of the person stating an idea, not the idea itself. Ex nihilo – Latin for “from nothing,” used here in “creation ex nihilo,” the belief that God created the universe without pre-existing matter. Extrabiblical – Outside of the Bible itself. Extrabiblical evidence for Christianity supports the Bible’s truths from outside disciplines such as science and history. I should have led with THANK YOU FOR THE PODCAST! But I was cooking dinner and my teething baby was crying to be held… but I do deeply appreciate the podcast! THANK YOU! No worries Krissi! Totally understand. 🙂 Thanks for always being such an encouragement. My favorite episode yet! Ready to nerd out on Ken Samples. Yay! Thanks Angela! You’ll love Ken. He is so gentle, and so wise.